Welcome To The Egg-N-Us At The Lookout! 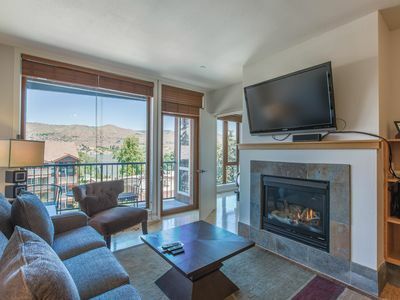 This home away from home, three story, 2,900 square foot house features 4 bedrooms and 3.5 baths and has all you need for a great getaway! 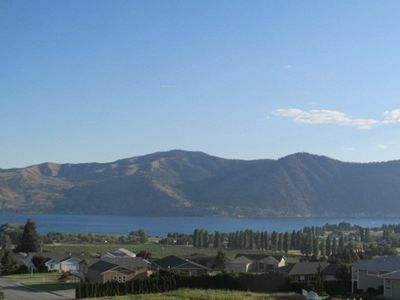 The fully upgraded home features quartz countertops, an indoor/outdoor Sonos System and LED Smart Televisions in all bedrooms, in the media room and great room. 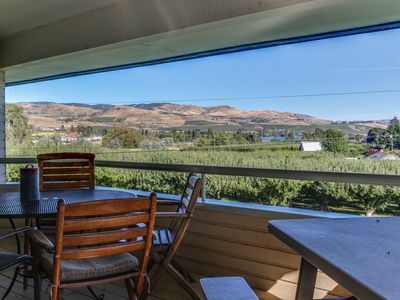 Walk out onto the deck and enjoy gorgeous up lake views. Outside features a back yard oasis with a private Hot tub, Pergola and Fire pit. 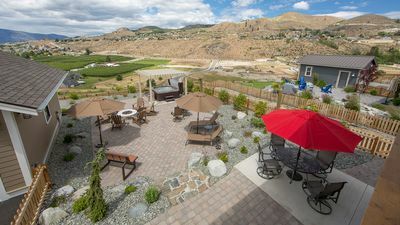 There are two different seating areas, a gas grill, and is nicely landscaped throughout with lighting carefully situated and a wrap around fence. The Top floor consists of two bedrooms, each with their own bathroom. 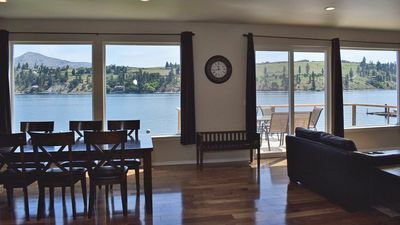 The Master bedroom has a King bed facing up lake for the best views and an attached deck to enjoy your morning coffee. 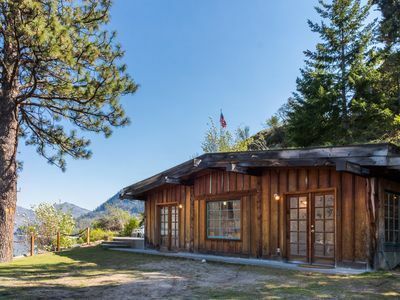 The master also features an en suite bathroom with two sinks, shower and a separate bathtub. This room features a 55 inch TV. The second bedroom has a queen bed, 49 inch TV, en suite bathroom with shower/tub combo. This room features lots of windows for great lighting. The Main floor features an entryway with bench seating, an upgraded kitchen with over and under cabinet lighting and premium appliances. 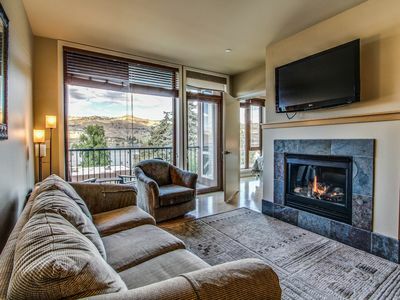 The Living Room has a 60 inch TV, couch, love seat, and chairs for optimal seating space. The dining table sits 10 comfortably and the bar has additional seating for 4. 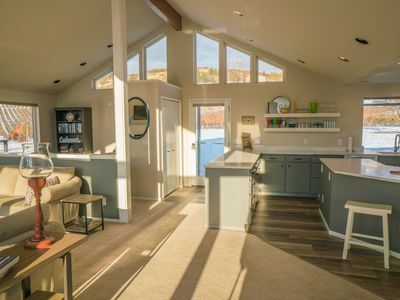 In addition there is a gas fireplace for those cool evenings or step out onto the deck and enjoy Sonos music, a ceiling fan, and comfortable seating. 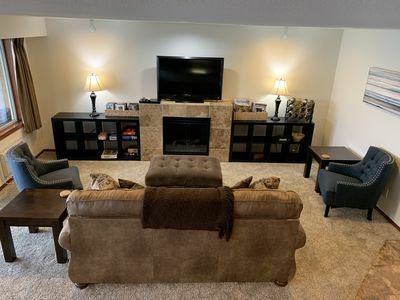 The Lower floor features two bedrooms, a media room with 65 inch TV, DVD player, XBox 360, games, books and so much more, a laundry room, and shared bathroom. One of the bedrooms has built in bunks for toddlers, teens or adults, with an XL Twin over Queen and a 43 inch TV. The second bedroom has a Queen bed and 43 inch TV and French doors that open out onto the patio area. 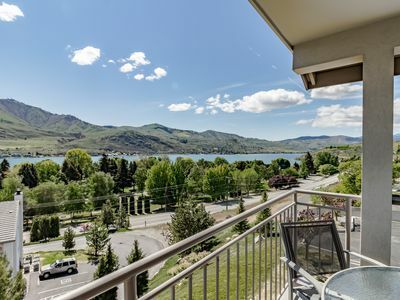 It’s a short walk to the community pool, Pickle ball court, the Marina and lakefront area. The Lookout provides a shuttle service to the marina and lakefront during the spring and summer months. Egg-N-Us has complimentary high speed internet throughout the home with two WIFI connections to ensure that all of your devices can easily connect. Dogs are allowed at Egg & Us! Maximum of 2 dogs, 50 pounds or less, crate sleeper, potty trained. 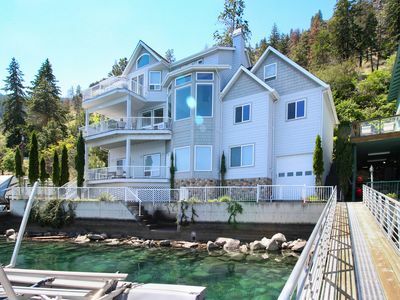 Secluded and cozy, private lakefront home w/ dock and amazing views! 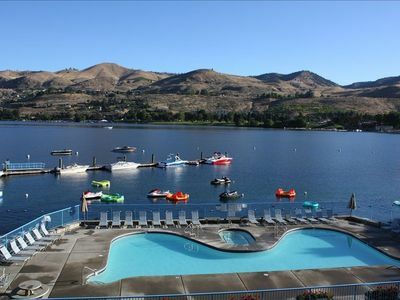 Beautiful Lake Chelan Condo, 2 Bedroom, 2 Bath, Sleeps 6. 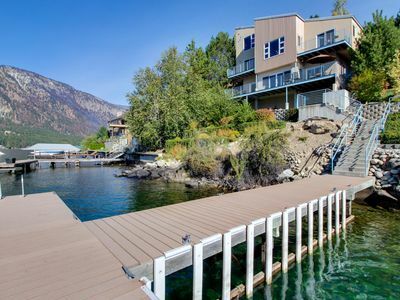 2 Historic Cabins Right on Lake Chelan. 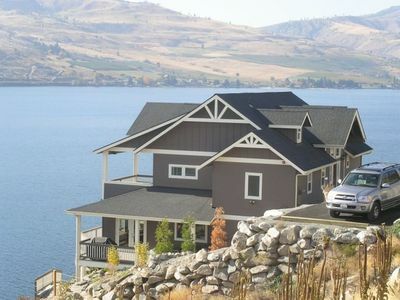 Lowbank with dock; sleeps 15. 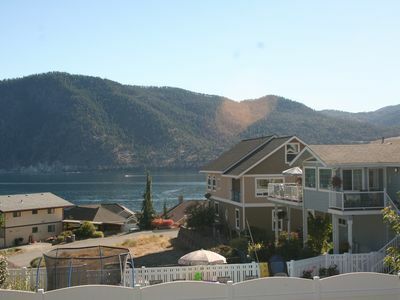 Upscale lakefront house - spacious interior, dock & boat lift, stunning views!